Circa 1225 Reginald de Valletort, lord of Trematon Castle and Trematon Manor, granted a charter (not dated) to the burgesses of Essa, as Saltash borough was then called. He confirmed all the privileges which they had received from his ancestors. The charter contained a clause stating that the burgesses would be able to elect a reeve themselves. A reeve was a borough administrator. 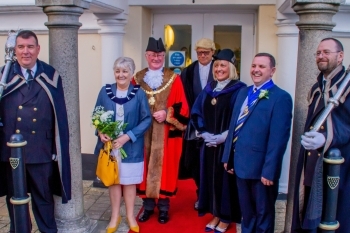 Two centuries later the term “Mayor of Saltash” began to appear in some documents; gradually it became the standard title. It was made official in the charter granted to Saltash borough by Queen Elizabeth I in 1585. The Mayor is elected by fellow councillors and takes office in May. 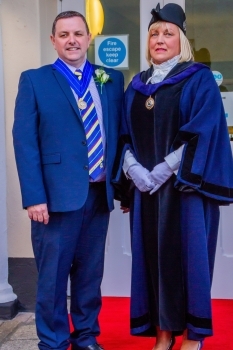 As Chairman of the Council the Mayor presides over the Town Council meetings and attends all committee meetings in an ex-officio role. 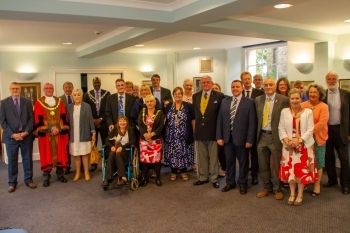 During the term of office the Mayor is a familiar face in the town attending many events and supporting local organisations. 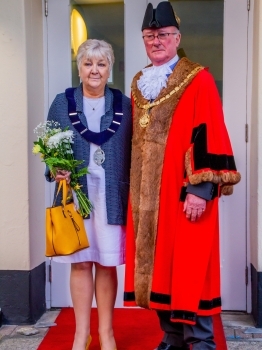 If you would like to invite the Mayor to attend an event please contact the Mayor’s Secretary at the Guildhall. All requests must be made in writing.